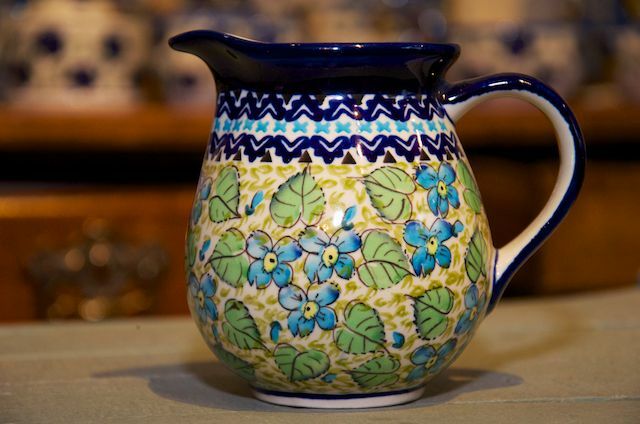 Polish Pottery Green Leaf and Blue Flower small Jug by Ceramika Zaklady. Capacity 420ml. Height 11.8cm x 9.5cm diameter.